DOVE LOVE equals Build Faith Hope & Love thru Grace Mercy & Forgiveness by the shed blood of Jesus Christ for the payment of ALL sin and sinners so they can dwell in Heaven forever with their creator and Father... WE PREPARE THE CHURCH, THE BODY OF CHRIST, FOR THE EVIL DAYS WE LIVE IN. Thanks for stopping by. My name is EvaRoo. What do people need the most? 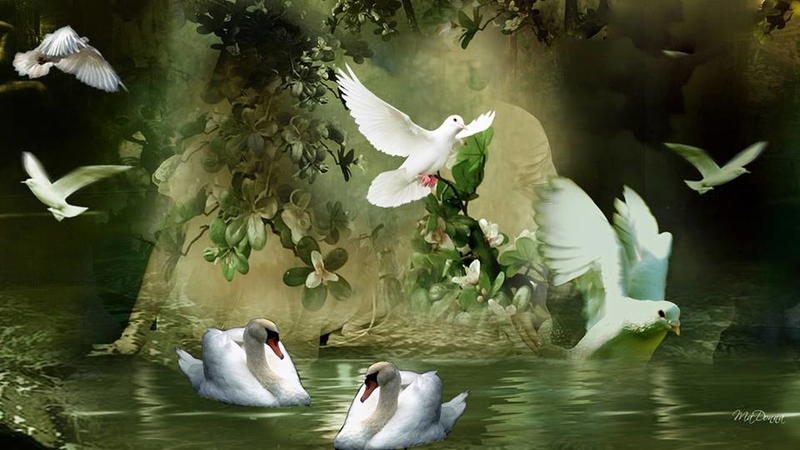 Dove Love is the Gospel of the Grace of God. JESUS CHRIST IS LORD. Help us send messengers, carrying His good news to the world, one last time. Send out the Doves, We Sing, write, play music, worship, have memorials, do candle light vigils, weddings, praying with you, and have a book store. We are working on several Gospel albums. We love you and so does God. We are the Army of the Lord and His Ambassadors waiting for His return.